Flippin' Out. Recently updated first floor, one bedroom condo-tel with two full beds. 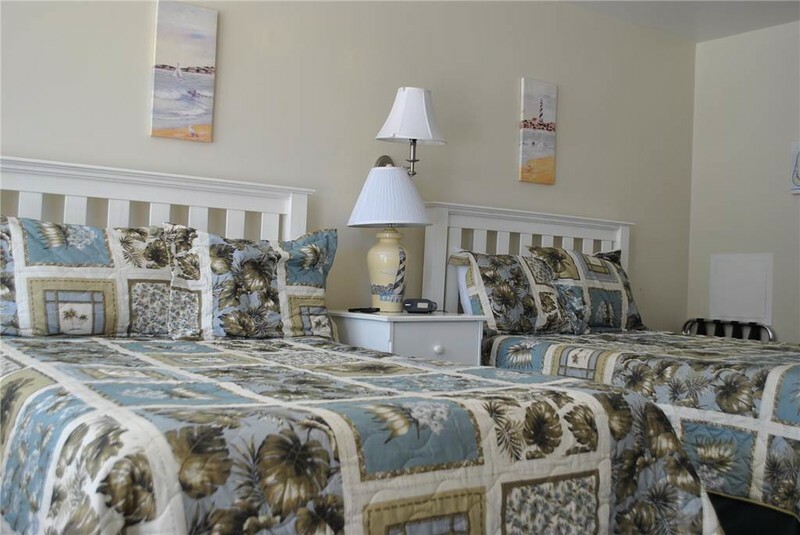 Condo-tel is centrally located on beautiful Ocean Isle Beach, one block from the ocean and walking distance to local restaurants and activities. Relax on comfortable Tempur-Pedic mattresses, enjoy the convenience of an in-room microwave, small refrigerator, flat screen TV, hairdryer, flatware and small number of dishes, coffee maker, blender, and air-conditioning. Large bathroom and bathtub/shower combo has hand rails, making this condo handicap “friendly”. Bed linens and bath towels provided. On-site outdoor swimming pool for your enjoyment. All condos may be rented on a nightly basis. Non-smoking, pets are not permitted. Free Wireless Internet Access!